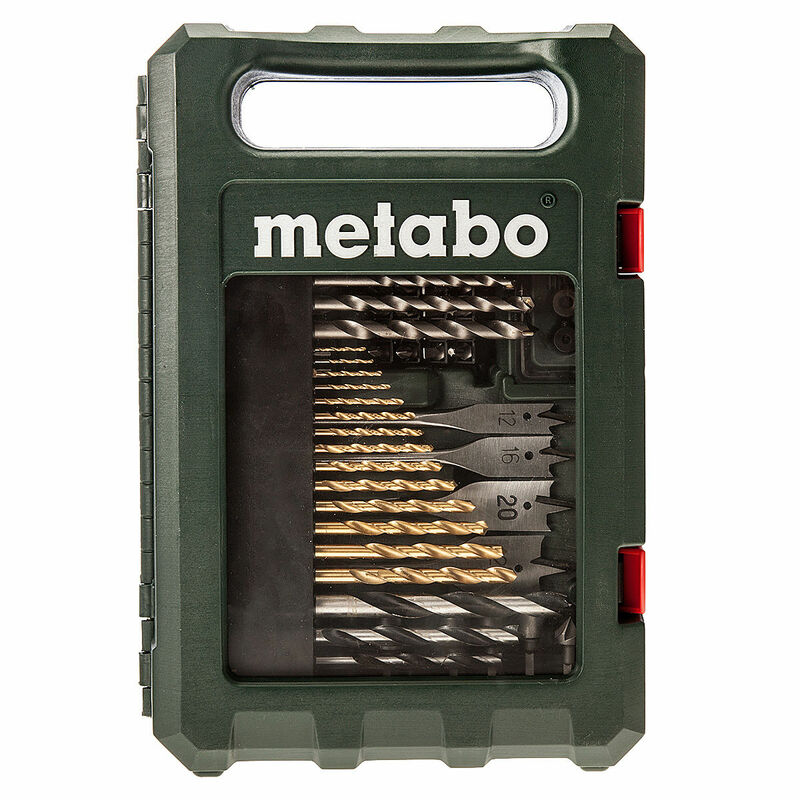 86 Piece Drill and Bit Set from Metabo containing all the popular of drills for drilling wood, masonry and metal. 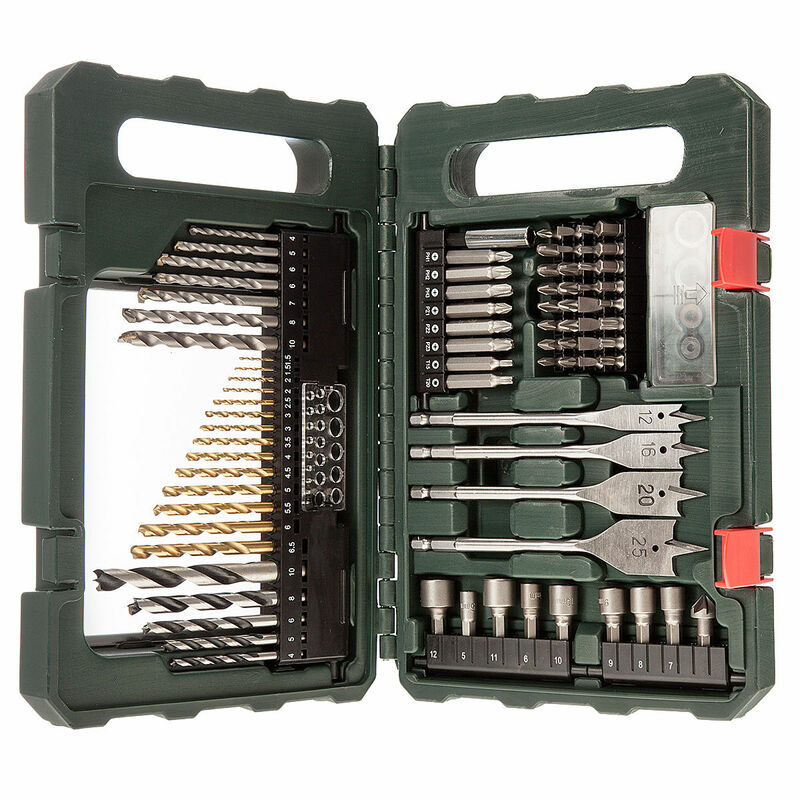 Also a selection of Bits in long and short form (25 and 50mm). 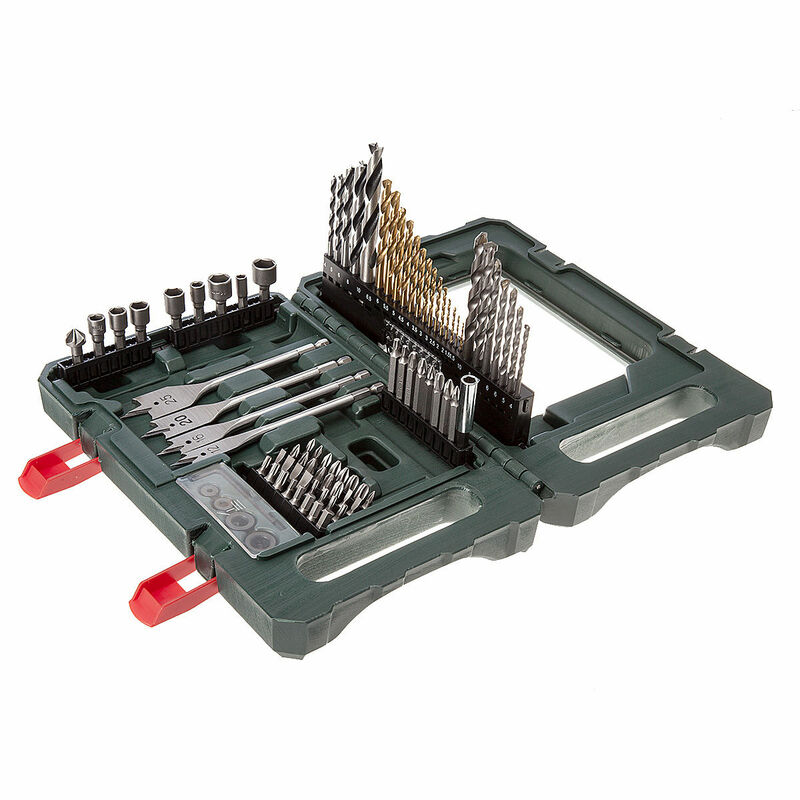 Small sized sockets and a few other accessories complete this great set housed in a robust storage box.